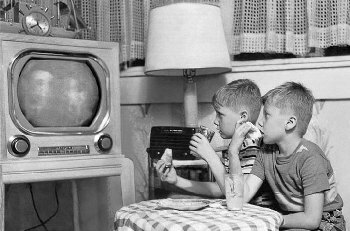 I guess I'm showing my age here, but I remember as a child, my Dad coming home one day with a new TV set. Man, were we excited! But it was black-and-white and certainly was a beast! Our living room looked kinda like the photo above come Sunday evening, just in time for the Ed Sullivan Show. 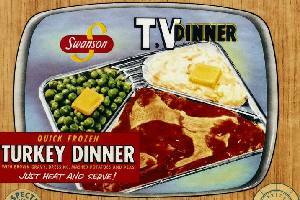 And boy did we feel special when we got to eat TV dinners on trays in the living room! 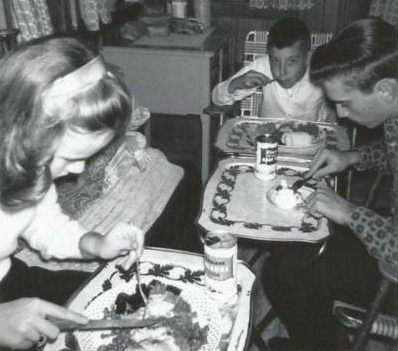 Livin' large in the sixties. And these at the 7-11? So anyway, nowadays we watch a "Smart TV" in larger than life high definition (1080p, not 4K). What a treat! Just pop in an old Bogey movie and on the huge, clear screen you'll discover many details that were lost in that litty-bitty Philco set you had years ago: art deco furniture and lamps, astounding facial expressions, things you just never saw before. And if you watch football on this monster, you can even see blades of grass on the playing field. [Below we tell all about this awesome TV set]. Televisions are kind of like cars when it comes to family loyalty. Once ya'll find a brand that works for you, you tend to stick with it. So you have Sony Families, Samsung, Panasonic or LG families, etc. So we will not fill this page with recommendations for several different TV brands. What I will tell you is that we are a Vizio family. I know this is not a high-end television manufacturer, but we have had great luck with these reasonably-priced TVs. 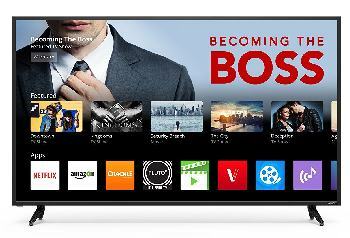 Vizio puts out the cheapest large-screen TV on the market, another reason we love them. What Does Smart TV Mean? A Smart TV is one which has built-in connections to the Internet, so it can access streaming media and entertainment apps like movies (Netflix, Hulu, Amazon Prime, Sling), internet music stations (Pandora) and web browsers. No separate equipment or "box" needed. The Smart TV makes it's connections to your broadband internet via wired Ethernet connection or built-in Wi-Fi (wireless). High-end Smart TVs offer more connected services, a complete web browser, and can also provide connection to voice-controlled Smart Home Speakers like Alexa and Google Home. 70% of TVs sold nowadays are Smart, and it is likely that in the near future, all TVs will come equipped with "Smarts". Should you buy a Smart TV? Sure. Even if you already have an Amazon Firestick or Chromecast, buying a Smart TV is smart and will not conflict with anything. It will bring you accessibility to more applications, and should your Roku Stick bite the dust, you remain ready to connect to that service without buying a new device. 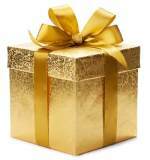 Read all about TV streaming services here. That stands for Internet Protocol Television. It's just a fancy term for Smart TV. 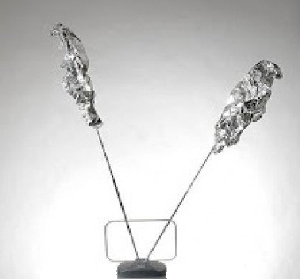 Instead of receiving TV programs through an antenna, satellite dish, or cable, you get them streamed through your Internet connection. You can receive that connection either hardwired (Ethernet Cable) or wirelessly, through your home network Wi-Fi. You can learn all about wiring, Wi-fi and networks here: Wireless and Wired Network. Are you a bit confused about the types of TVs available today? 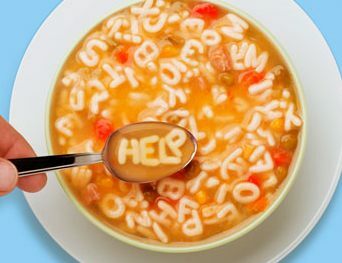 It's really a bit of alphabet soup... LED, LCD, UHD, 4K, OLED, HDTV. What does it all mean? Well, actually, due to the demise of certain TV types... most notably plasma TVs and 3D TVs... it really is simple to understand. And we will make it even simpler. 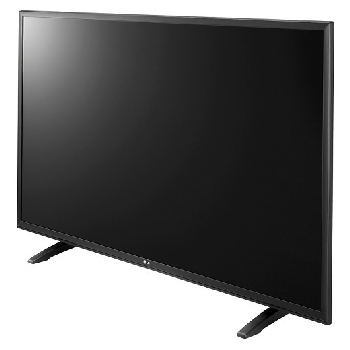 First of all, virtually all TVs on the market today are HDTVs (High Definition Televisions). 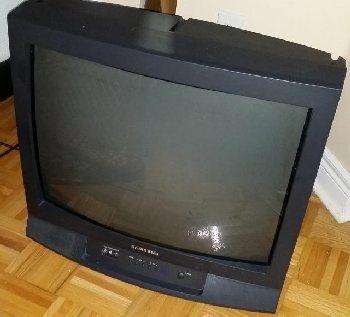 This is a type of TV with much better resolution than the old standard analog, cathode-ray TVs (you know, the old ones that weighed a ton). They looked like the one on the left, below. The one on the right is a modern HDTV. Resolution just means the number of pixels, or tiny bits of visual material, in a given space. The more pixels to the inch, the sharper and clearer the total image. The currently available HDTVs are much lighter, flat screened, and capable of showing pictures with much more detail and quality than the old-timey TVs. In addition, all the TV broadcasting companies now send out their images in a widescreen digital format (Digital Television or DTV). So HDTV sets and DTV broadcasting are compatible. Now then, virtually all modern TVs are HDTV. They are also almost all LCD, which stands for Liquid Crystal Display. 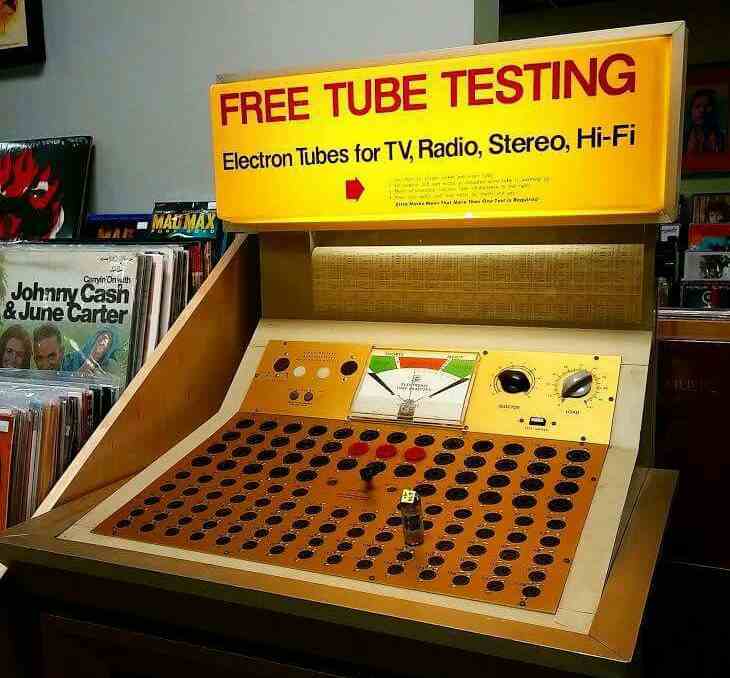 This is simply the current techology used to manufacture TV sets. Furthermore, most TVs today are also LED (Light Emitting Diode). 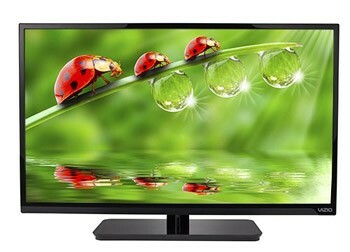 LED is just a specific type of LCD TV. Screen Size: TV screens are measured diagonally and run from 20" to over 80". 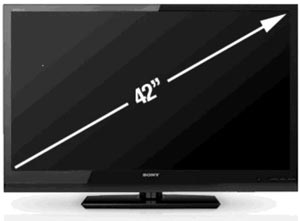 24-32" is a good size for a bedroom or kitchen counter. 55-65" would make a great primary TV for the living room or den. 70-75" (or even 85" if you can afford it) would be appropriate for a big-room home theater. Smart TV: Yes, get this feature! Resolution: 1080p is the standard HDTV today. UHD (Ultra High Definition or 4K) is the latest and greatest. More expensive but worth it for 65" or larger screens or when you need to sit a little closer than a 1080p would allow. If you are looking to buy a new TV right now, I would pay a little more and go with the 4K. Streaming TV providers like Amazon and Netflix are producing more and more 4k programs. Why not have the capability of enjoying that feature soon instead of regretting you don't have it? Read all about 4K TV, HDR (another new technology), screen size and viewing distance guidelines here: 4K TV. *The only exception is the OLED, or Organic LED, which is a superior but super-expensive technology put out by LG & Sony. They start out in the $2,500 range, so we'll just leave OLED out of our discussion here. This TV cost us $2,000 back in 2012. Today this model would cost only $700-$800, and that's with 4K UHD! Vizio 5.1 Surround Sound package we added to our TV in 2012. Still going strong. We also added a sound bar with backdrop speakers: Vizio Home Theater #VHT-510. 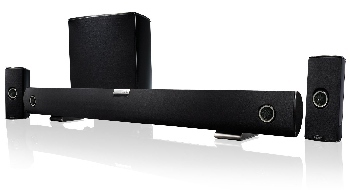 They don't make this particular model anymore, but there are plenty of inexpensive sound bars coupled with rear speakers for "surround sound" on the market. We recommend you get one, as they sure improve the audio quality! Check out this one which comes with a Blu-ray DVD player: Samsung Home Theater. Vizio E75-E3- 75" 4K UHD. Runs about $1,400 today. 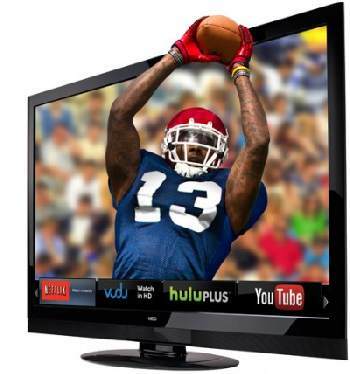 Read all about streaming TV device choices here.